Waxing lyrical about life the universe and everything software related since lunchtime 2006. This tag contains 9 private blog which isn't listed here. Configuring Joomla to use Zoho mail with MSMTP on Ubuntu. A while ago I switched to using zohomail for the email handling on a number of sites that I run. Zohomail is a nice alternative to hotmail or gmail and is also free for a limited number of users which makes it perfect when you just need to add a contact method to a website or just need something to process user messages. If you are familiar with Stack Ideas products, such as the blogging component that you are reading from right now EasyBlog, you might have noticed that on their site they have been promoting a soon to be released social networking component called EasySocial. I first noticed this a few weeks back and I must admit I got a bit excited. Not one to usually get emotional over such things, the idea of a social networking component written by the excellent Stack Ideas team definitely has appeal. I have a love / hate relationship with most extension vendors and products but my experience with Stack Ideas has been great, the support is excellent, the products are intuitive and of the best quality, and what's more they just work. No fuss, no hacking, no convoluted setup, they work with the minimum of fuss and continue to do so. So when I received an email that there would be a webcast on the upcoming EasySocial, I signed up right away. Watching the webcast last night I was blown away by the quality of component. There has been a years worth of development so far and there are still features that are being held back for the next release (Boonex please take note). The component includes many ideas and suggestions from the Stack Ideas user base and whilst it was said that the component was not designed to specifically compete against JomSocial, it certainly raises the bar. 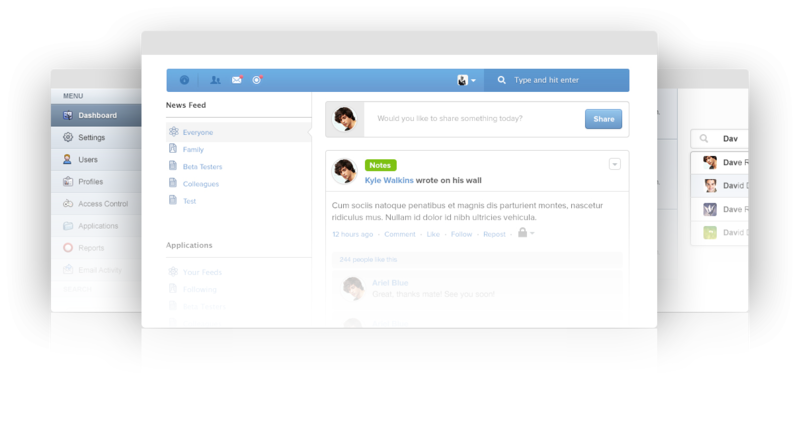 In many respects it is similar in functionality to JomSocial, it follows the standard format for social networking components - that of a facebookesque type of site with an activity wall, profile pages, messaging capabilities, etc. Where it differs is how these components have been executed, it's the fine details that really set it apart. There is a liberal use of AJAX for all functions resulting in what appears to be a very nice user experience, the interface also appears to be very intuitive, although this is obviously hard to really get a feel for from just watching on a webcast. You cannot access the private section of this site. This was the error I was recently faced with when I re-enabled user registrations here on the DeeEmm site. You may recall from my last blog post Virtuemart Revisited that I have recently re-installed Virtuemart so that I can sell some extensions via a store front right here on the site. As part of my testing I run through the usual user experience to check that things work as they should and found that after registering a user, confirming the account and then being enabled by an administrator the 'You cannot access the private section of this site.' message was displayed and the new user could not log in. So I check the ACL to ensure that the 'registered' user level has login access to the site. All good there so that isn't the issue. I then turn to Google to see what that turns up and find that most of the solutions given relate to the ACL permissions. A while back I was working on a project that allowed replication of an instance of Joomla. The reason for this was that I have a couple of sites that are set up as SaaS applications. Rather than use the traditional method of selling access to multiple user accounts on a single site I needed to provide complete anonymity between users. The nature of these apps were that all data is private and for me the best way to manage both the segregation and anonymity was to provide completely separate sites for each user. I wanted to use a basic site as a template and then replicate it for each user. This meant replicating both the physical files and the database information for each subsequent user. I had previously used JMS multisites but had found the component to be a bit overly complicated and limiting when used in a commercial capacity as licenses were required for each replication. It also did not do exactly what I required. I did have a look at modifying the code to do what I wanted but in the end my solution was to simply write my own component. For my setup I required that each instance had it's own subdomain, but that users could log in from the main domain. Each instance was also created from creating a subscription on the main domain. I have recently migrated a site from Dolphin to JomSocial and needed to modify the way that the activity stream was displayed to visitors. By default the replies and likes of activity stream posts are only displayed to friends of the original poster. This means that the comments are very limited in their reach. The overall effect of hiding activity stream comments and likes from guests is that this valuable activity is wasted. I wanted to show this activity to guest visitors so that they could see how active the site is. This in turn encourages them to join and hopefully encourages them to comment. Of course, this may not be suitable for all sites, but in the case of this site, there was no activity that is 'secret' or 'private'; the activity stream is public viewable, and so should be the comments. The modification you need to do this is pretty straightforward, it simply involves removing or commenting out two lines of code. Nautilus: Dolphin to JomSocial migration script - Latest progress. After restarting work on the migration script a few weeks back I have made great progress on getting it finished. I have gone through a few revisions and am now on version 0.10. The bugs are slowly getting addressed and the end is nearing. The current version 0.10 is still in progress. I'm currently working on migrating the group forum posts into the discussion section of each group, but this is proving to be harder than originally anticipated. Still to go before I release the next version are to migrate articles, navigation structure and IBDW Spywall entries. I finally decided to migrate Spywall posts as the user profile pages look very bare. Plus the transition from old to new will be a lot smoother for members. One major change is that I decided to flip the way that the migration is carried out. Originally I opted to install JomSocial and copy the Boonex files into a sub directory. However, after some thought I decided that it would be better to do the opposite. Now the migration is carried out by installing JomSocial into a sub directory. This means that you can get the whole migration up and running before going live. It also allows you to easily retain or switch between both sites by using htaccess rules. The other major change is to move away from the corePHP Wordpress plugin and use EasyBlog. EasyBlog is much more user friendly and comparable with Wordpress on a basic level. OK so it doesn't have the plethora of plugins available to Wordpress, but on a community site this is probably a good thing. I do Have one JomSocial site that uses the corePHP Wordpress plugin, and whilst it works well, it is generally too complex for most users to get their heads around. If anyone really wants / needs a specific blogging platform I would be happy to write a custom script, although I would not do this for free. If you are one of those visitors who is expectantly waiting for the release of the Dolphin to Joomla migration script, you will be happy to know that things are moving along nicely and the script will be released before the end of the month. In preparation for this imminent release I have started to prepare the documentation for the installation, including the scope of operation and the requirements for getting it up and running. The documentation will be provided in a series of articles in the tutorials section which will walk you through the whole process in a step by step manner. It will also cover the setting up of Joomla and Jomsocial, as well as providing installation help for the required third party modules. It's very nearly here. The Dolphin 'Fish Script' to JomSocial migration script is just around the corner. To continue on with the theme so affectionately adopted by Boonex, I have decided to give the script a nautical name. So with respect to Jules Vernes Twenty thousand leagues under the sea I have named it the Nautilus. For those of you who have been patiently awaiting me to pull my finger out and get the script written, you will be happy to learn that I only have a few more tables to migrate and it will be finished (after testing of course). It's been a while since I've finished the Geeklog to Joomla (JomSocial) migration, and with a new update released by Boonex, I've decided that it is about time to look at migrating my sites away from the Dolphin platform. With even a mildly modified site, Dolphin updates are usually a nightmare. It is rare that something does not break, or mess up in some manner, so I've decided that instead of wasting time updating third party addons to work with the new Dolphin core, it is much more cost and time effective to write a migration script. 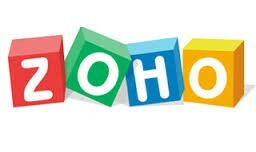 The target platform will be Joomla, running the JomSocial component. This is a comparative product for those who are using Dolphin as a community site, and pretty much, all standard modules have an equivalent Joomla component. At the moment the project is at the drawing board stage, but the basic outline is complete. Now that the New Year is under way, I've turned my focus back to the Joomla project that i have been working on. This is the migration of an existing Geeklog site over to the Joomla (JomSocial) platform. The basic site design and functionality has now been finalised, and the next stage is to start migrating the existing data across. The migration away from Geeklog is due to the lack of development on both the Geeklog and GLFusion platforms. Although there have been releases in recent times, these have been little more than security updates. GLFusion promised to take Geeklog into the current Web 2 age, but after over a year, it has failed to really pick up any momentum, plus, with many features missing from the core and requiring non-existant third party plugins, the decision was made to migrate away from Geeklog, to the better supported Joomla. Unfortunately, it does not appear that many (any) have trodden this path before, and so i was not able to turn up any suitable info from the usual Google, search. This meant a bit of DIY hacking to get the data migrated. I did manage to find enough info on user authentication to be able to figure out how to migrate the users across without needing to get users to change passwords, which is a boon for a site like this one, which has some 1600 odd members. Joomla 1.5.18 has recently been released and includes a security update to fix a core XSS vulnerability. 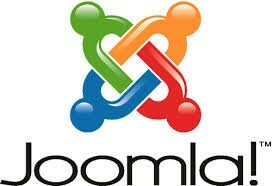 All Joomla users are advised to upgrade. More details about the vulnerabilty can be found on Joomla's developers board HERE. If you wish to stay abreast of the latest security announcements and updates for Joomla, you are advised to keep a check on the Joomla Developer Vulnerability News Feed. The site migration is pretty much finished, with just a few small odds and ends to fix up. One of the things that I have left to do is to add in some re-directions for the old content. When moving content it is always a good idea to redirect visitors to the new location with a 403 error response to the users browser. This will in turn be trawled by the web crawlers and your new location duly noted. As the old content locations followed the navigation structure of the old site code, I can add in one or two rules in my htaccess file using mod_rewrite and regex to redirect users from specific areas of the old site. You may have noticed that the new site no longer runs from DMCMS, and whilst I do feel more than a little guilty about this, I simply did not have the time to integrate shopping carts, trouble ticket systems, forums and user handling into the DMCMS core. It was much quicker and easier to use existing products. Plus, the idea with DMCMS is that it is a simple and easy to use CMS, so integration of additional third party software does not fit with the idea behind it. The online store is now up and running, although there is currently only one product (DMCMS) this is just for testing purposes. I will add in the premium mods as I develop them. All mods are instantly downloadable on checkout. There are one or two mods for Dolphin 7 already in the works, with more planned to come.Purchasers of premium mods also get access to the helpdesk system for dedicated support. There are free mods available from the Resources > Tutorial section, this is basically the 'How To' section from the old site, that has now been categorized, I will add hints and tips here as I get time. There are a bunch of mods I developed for Dolphin 6 that I need to convert into proper mod format. My ultimate idea is to strike a balance between free mods and paid mods.